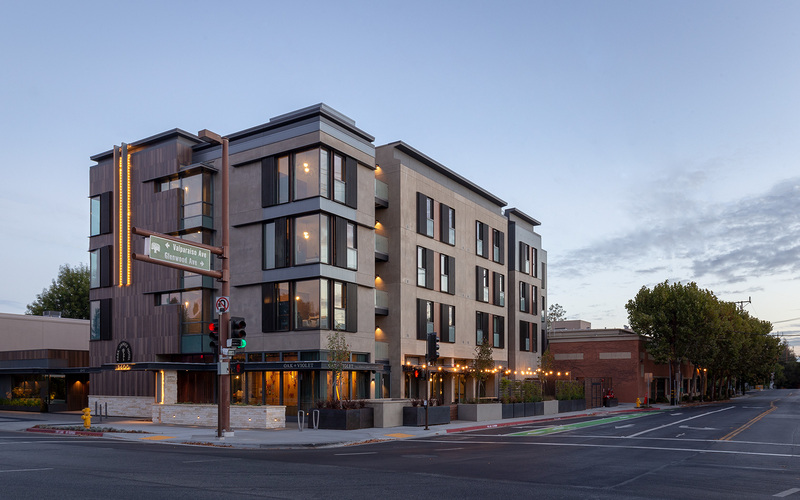 Menlo Park’s most anticipated hotel, Park James brings California craft style and hands-on service to Silicon Valley. Think staff who know your name (and how you take your coffee), a courtyard suited for catching up on email or catching a few rays, and eclectic details at every turn. With fresh house-blend grounds and a classic Chemex vessel in every room, coffee purists can BIY (brew it yourself). Or, we can make it your way and hand-carry it to you, anytime. 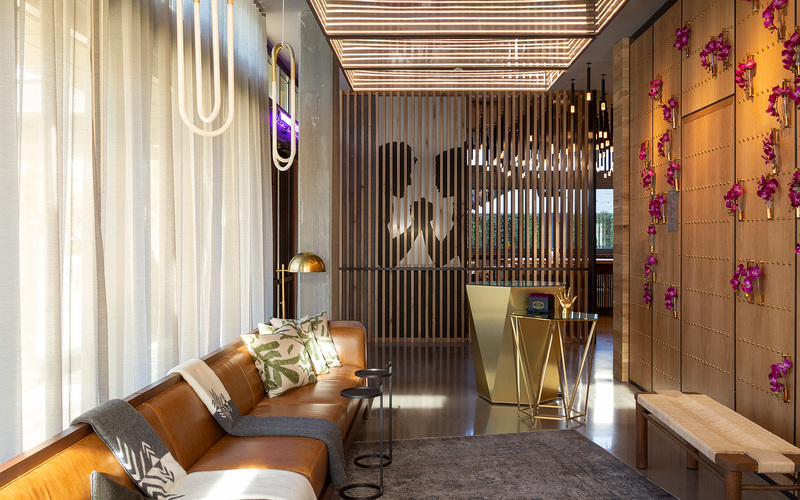 From the Irish marble and luxe leathers, to hand-woven throws for cool evenings in the courtyard, San Francisco designers Parisa O’Connell & Clinton Miller of Parisa O’Connell Interior Design, has curated every material detail. Find a sunny spot on our patio to perch and linger, or cool your heels under our old oak tree. 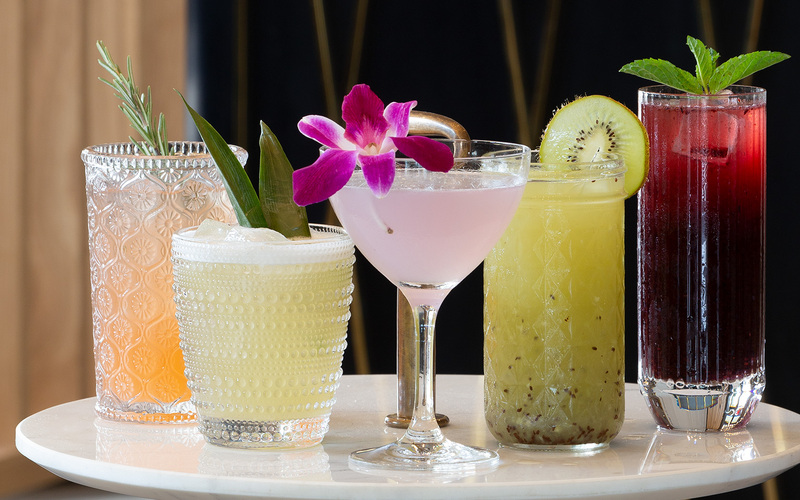 Our crafty cocktails and tapas feature the finest ingredients from local artisans. Have a request? Hit us up! The answer always will be “Yes” because our staff believes in the power of the positive. 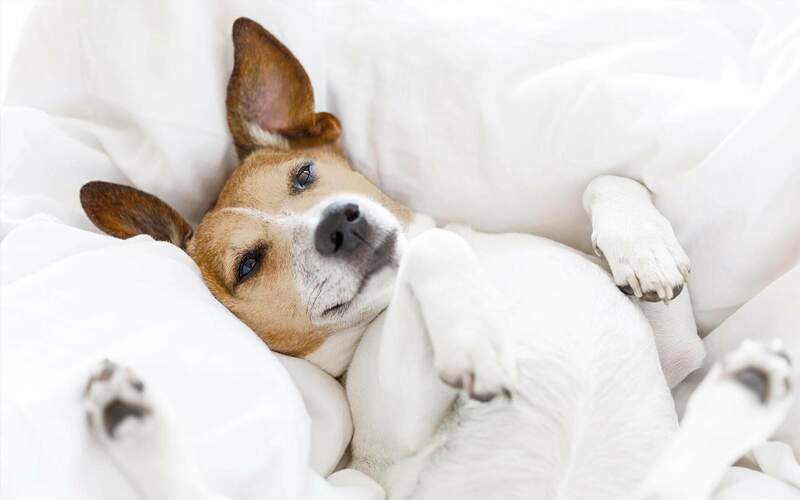 The sights and smells of our walkable neighborhood will delight your furry friend, as will our pet friendly rooms, airy courtyard, and handcrafted treats. 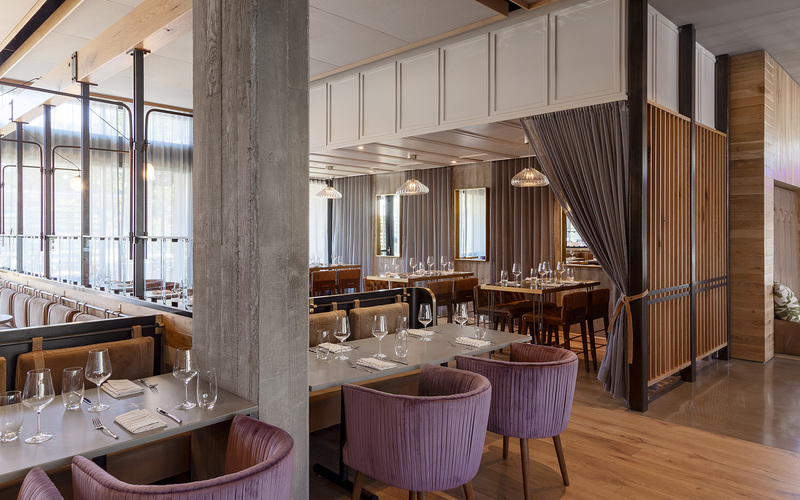 Enjoy California cuisine and cocktails at Oak+Violet, where our chefs work their own brand of magic with the region’s bounty of hand-picked ingredients. 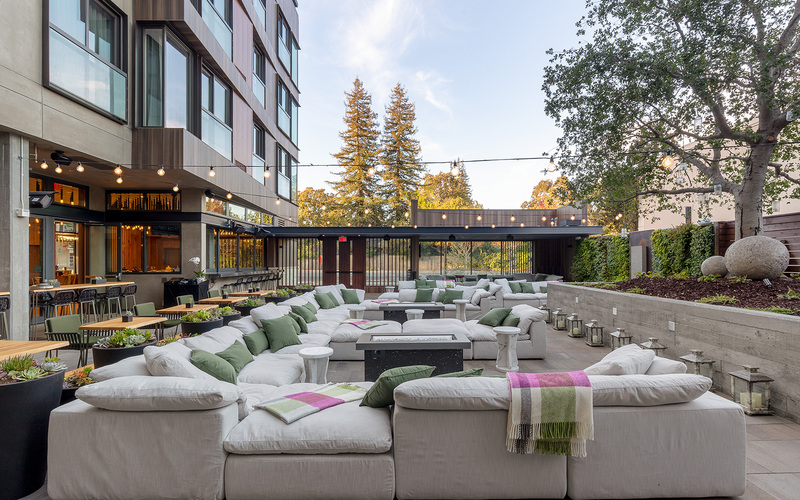 The Park James Hotel will be a welcome addition to the Menlo Park community: a flexible, inspiring hub for working, connecting, and lodging in the heart of California's thriving technology capital. 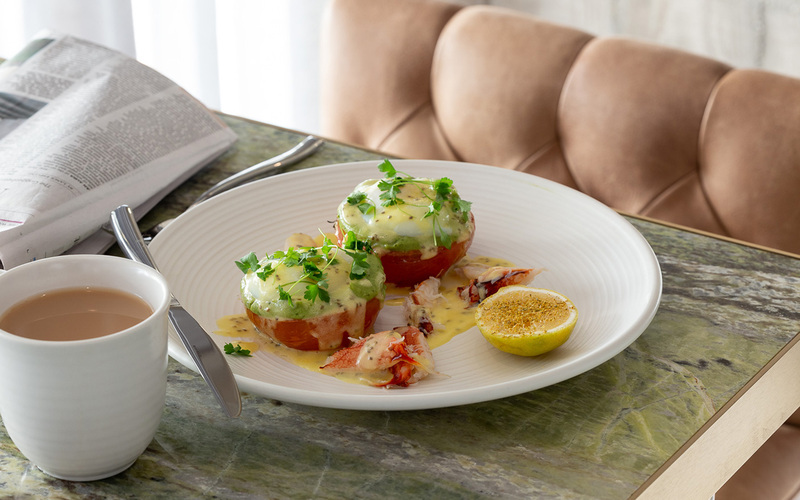 Every moment of your stay will speak to you personally, answering a primal need for a space that’s easy and intuitive. A modern platform bed set on a warm wide-plank wood floor, reading lights placed just where you want them, and blackout drapes for those just-a-few-more-minutes moments.